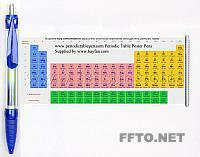 Periodic table banner pens are fantastic ballpoint pens combine with a pull out 4 color offset printed banner printed on both sides sized up to 168*68 MM. By default the barrel will be transparent, thus students can see those pens have a periodic table of elements build-in, thus, can’t help themselves to pull the banner out to check. As periodic table banner pens are made of high quality materials, and have smooth and comfortable handwriting, which make that also perfect for teacher and scientific workers to distinguish their daily pens form common just ballpoint pens. If you institute or organization want to promote yourself to attract more young people, order a batch of customized periodic table banner pens will definitely distinguish yourselves from common giveaways. There are normally two ways to customized your own periodic table banner pens: by sending us your customized periodic table chart artwork. ( See artwork design instructions). Or put your company logo above the standard periodic table of elements chart. And of course we can also put a logo on barrel. 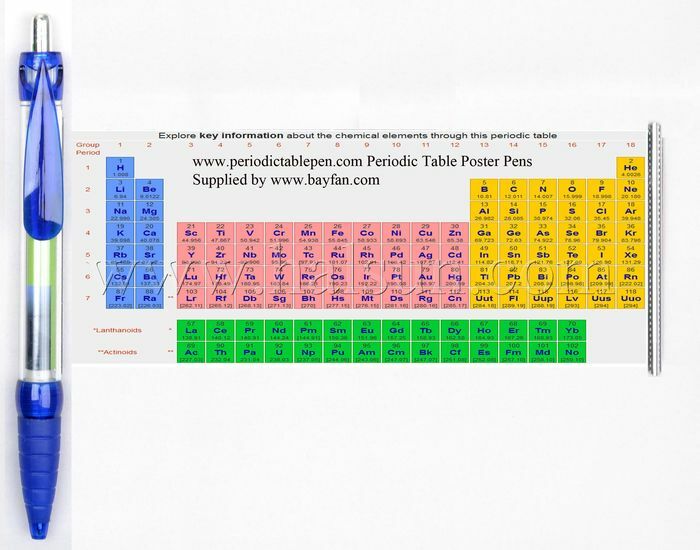 Order your customized periodic table banner pens today at bayfan.com! Delivery time will 4 weeks to your door by courier like DHL/Fedex/UPS/TNT. 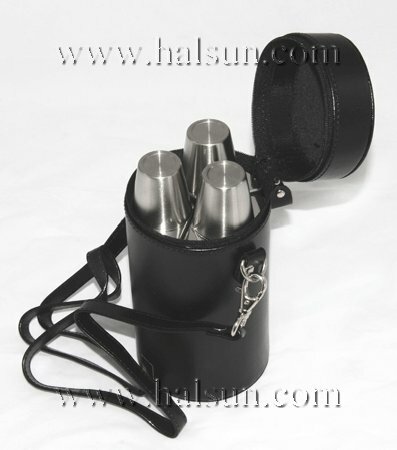 If you are in hurry, we also offer 15 urgent delivery service. Customized artwork of periodic table of elements are welcome. Nevertheless, we also have beautiful periodic table of element ready for you, just send us your company name, we redesign the scroll to add your company name on top of it. This entry was posted in Ballpoint Pens and tagged Breaking Bad Pen, Breaking Bad periodic table of elements Pens, chemical elements pens, chemical elements periodic table pen, chemical elements periodic table pens, chemical periodic table pen, chemical periodic table pens, custom periodic table pens, elements pens, elements periodic table pens, Innovating Science Periodic Table Pen, pen scroll out periodic table, pen with periodic table, periodic pens, Periodic Table Banner Pen, periodic table banner pens, periodic table flag pens, periodic table of elements pens, Periodic Table Pen, periodic table pens, Periodic table poster pens, periodic table scroll pens, pull out periodic table pens, roll out periodic table pens. Bookmark the permalink.